Passport Premiere members receive the greatest benefits for business class travel between the U.S. and Europe, Asia, Africa, Australia, Latin America and the Middle East. Our pricing methods are currently not applicable for economy class travel or for premium class travel within one continent (i.e. travel between the U.S. and Canada, intra European travel, etc.). First Class cabins tend to compete with private aviation and pricing does not move with the same volatility seen in business class. Limited competition when travel originates in Canada or Mexico minimizes the offerings available from either of these regions. Premiere members are never rushed into a transaction on their first day of shopping. Members are encouraged to be patient and buy on their terms rather than the carriers. Airline seats are commodities. Like other commodities, maximum value is achieved buying into weakness, not strength. An international travel club tries to be all things to all people. Passport Premiere analyzes an applicant’s travel requirements in relation to our areas of strength prior to accepting a new member. 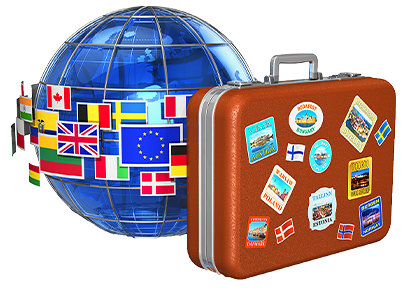 An international travel club promotes various offers. Most travelers only concentrate on the initial ticket price prior to purchase, and fail to evaluate the underlying terms including penalties, ease of change and the likelihood for lower pricing at a future date. Passport Premiere advises members on whether a particular fare is a BUY or if they should HOLD in anticipation of more compelling offers. Our monitoring service allows members to defer purchases and BUY when fares move lower.